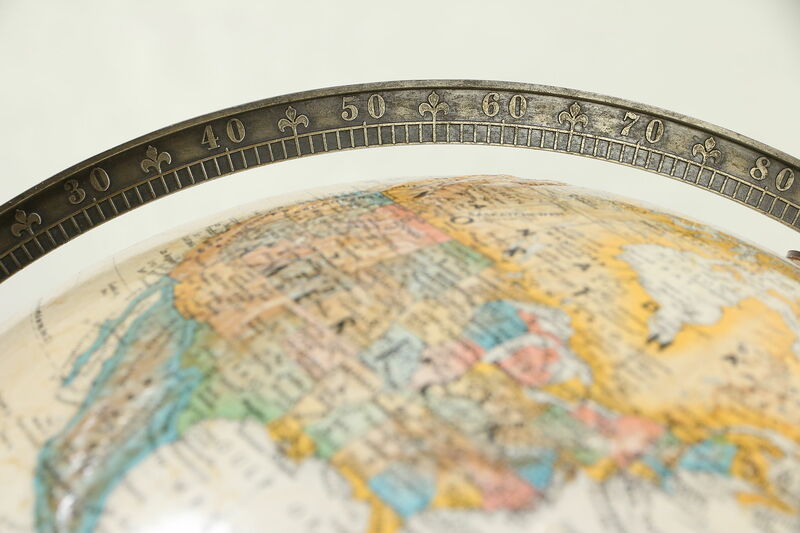 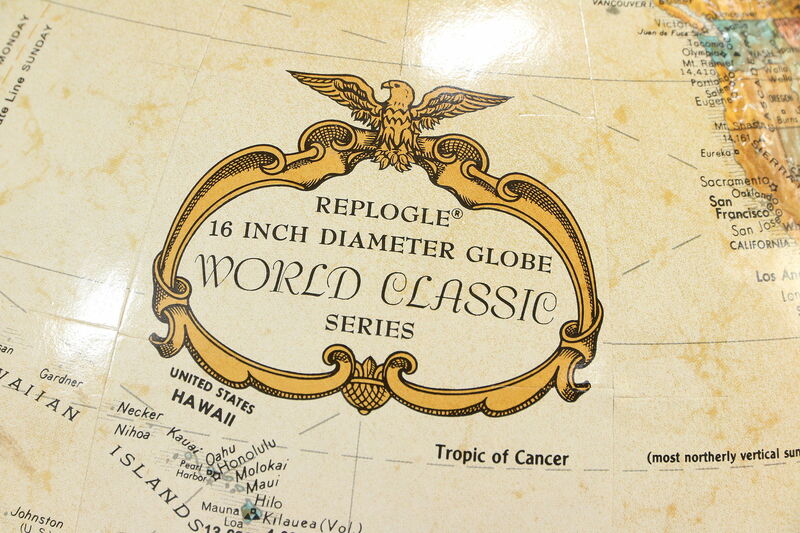 A globe of the world has embossed mountain topography, dates from about 30 years ago and is signed by famous maker, Replogle, and Ethan Allen. 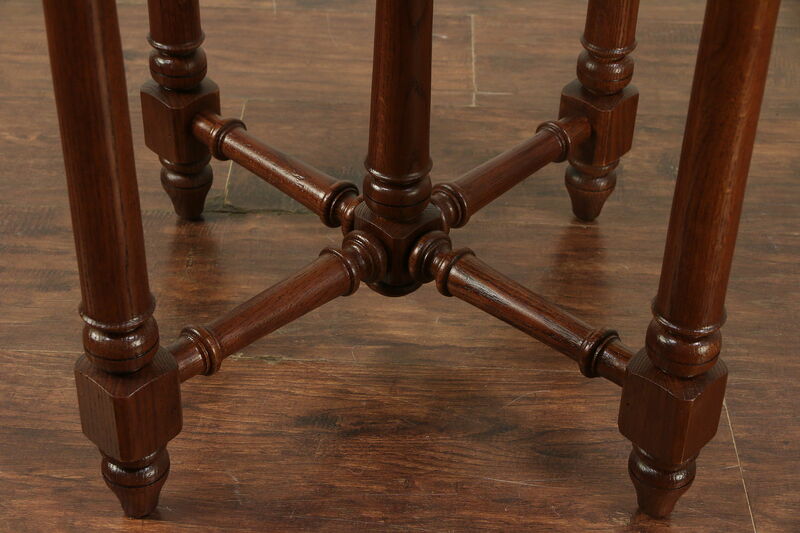 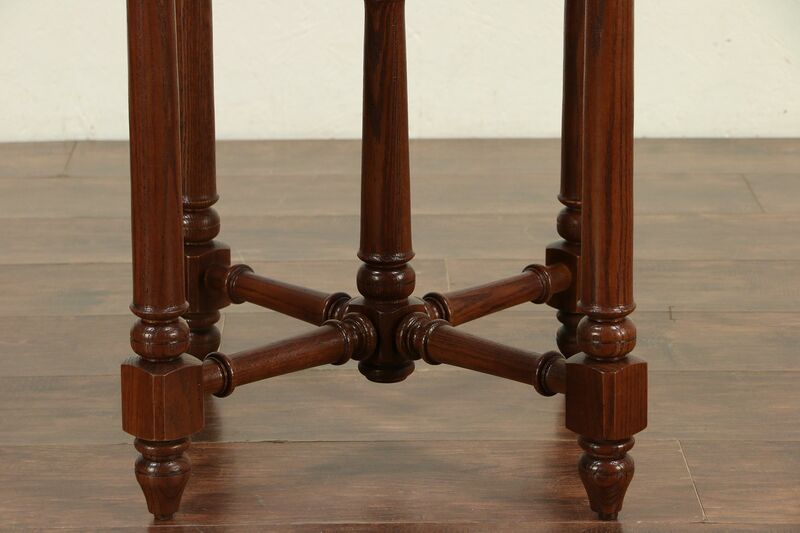 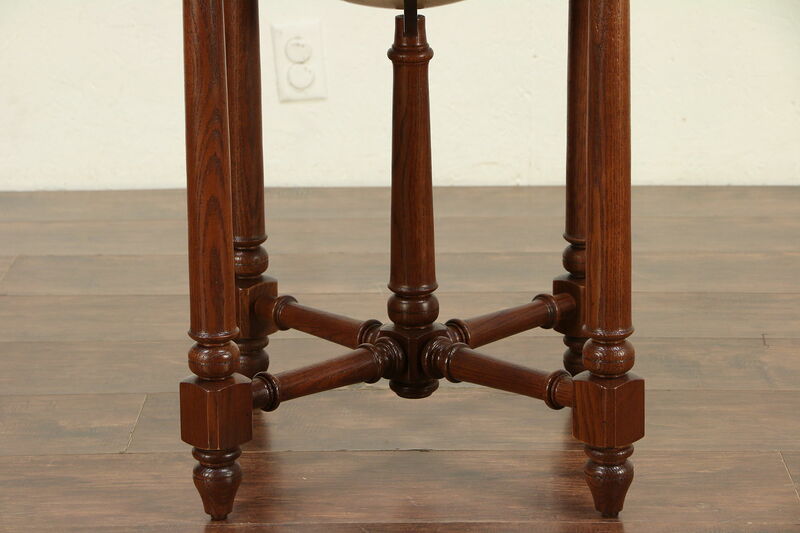 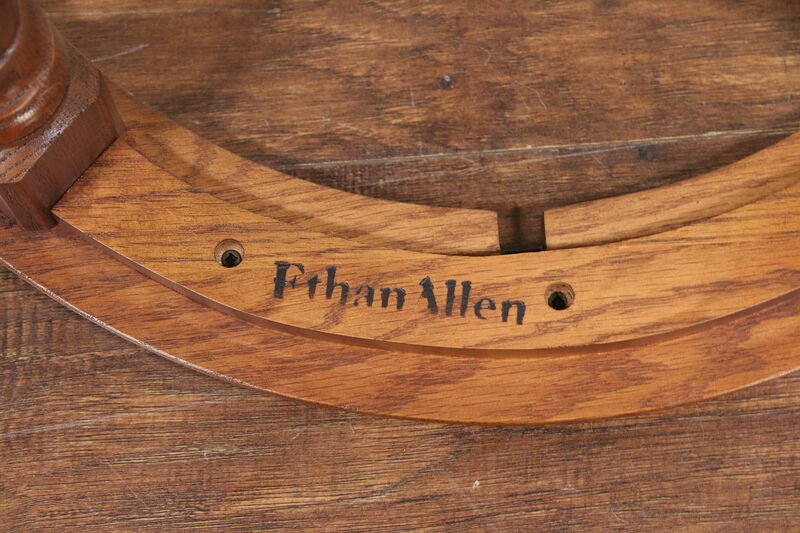 The solid oak base is sturdy and has a restored finish in excellent condition. 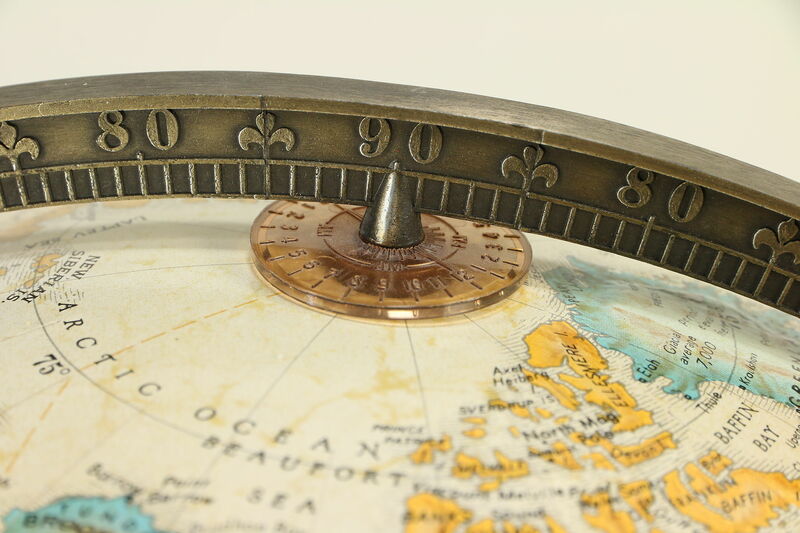 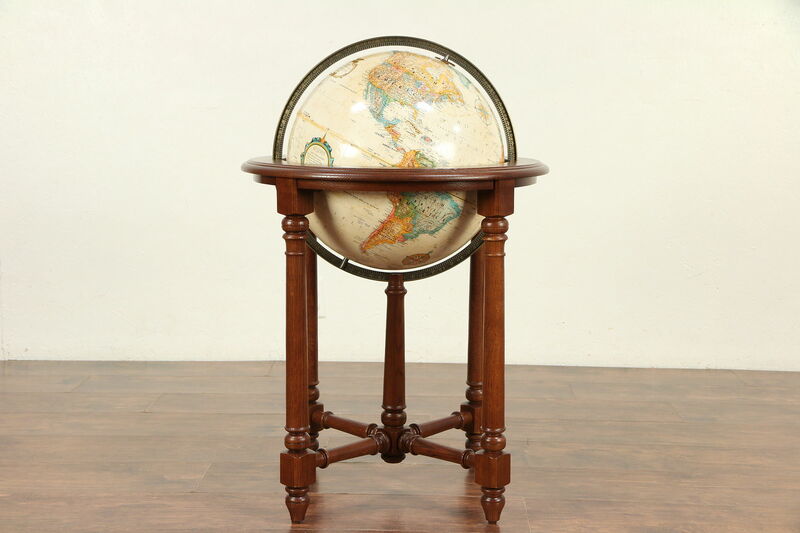 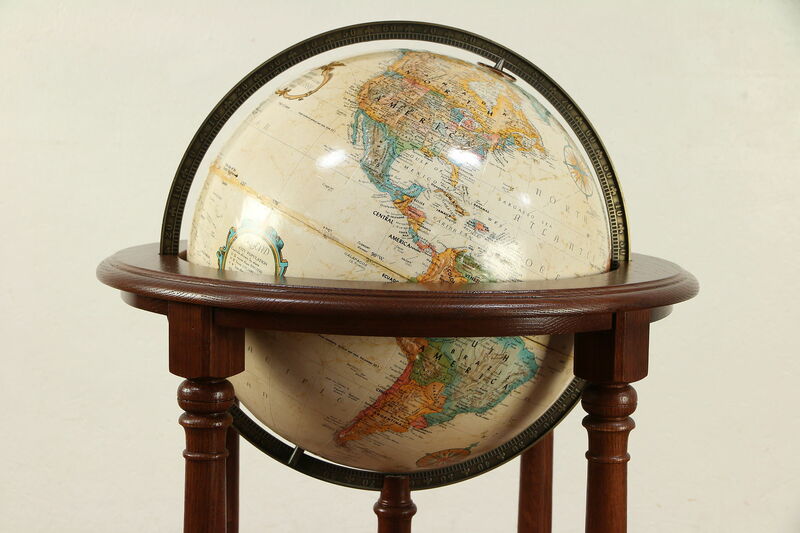 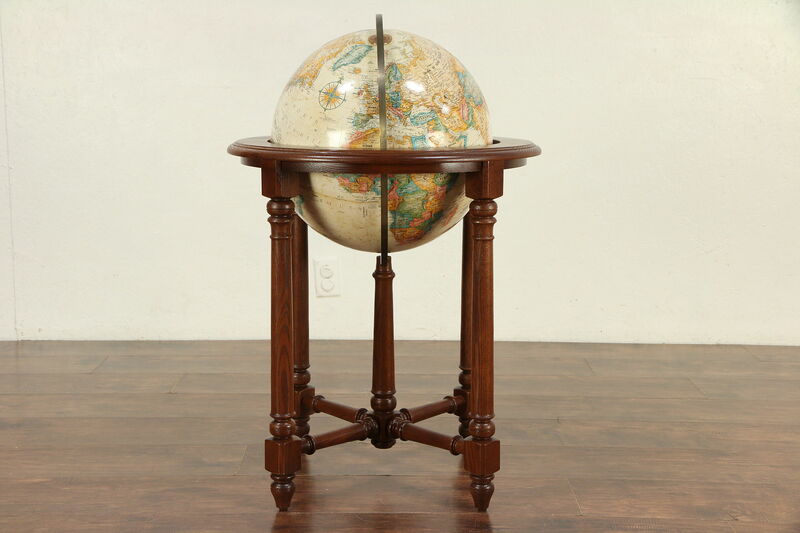 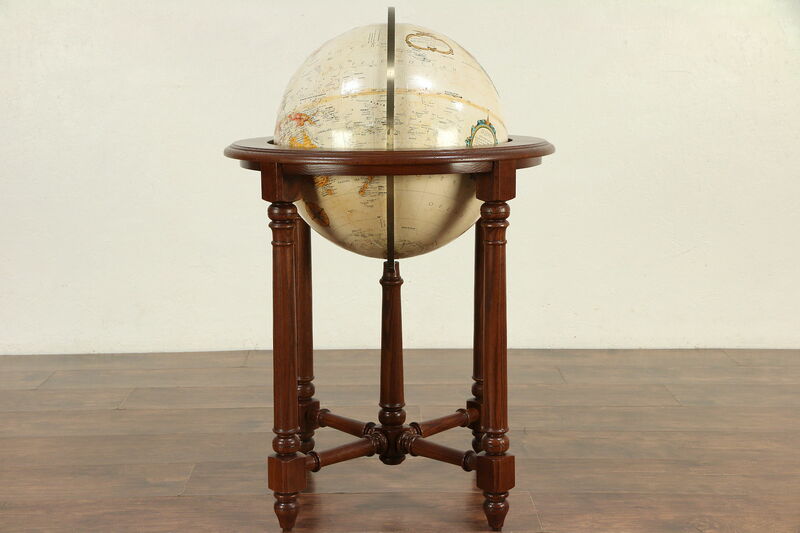 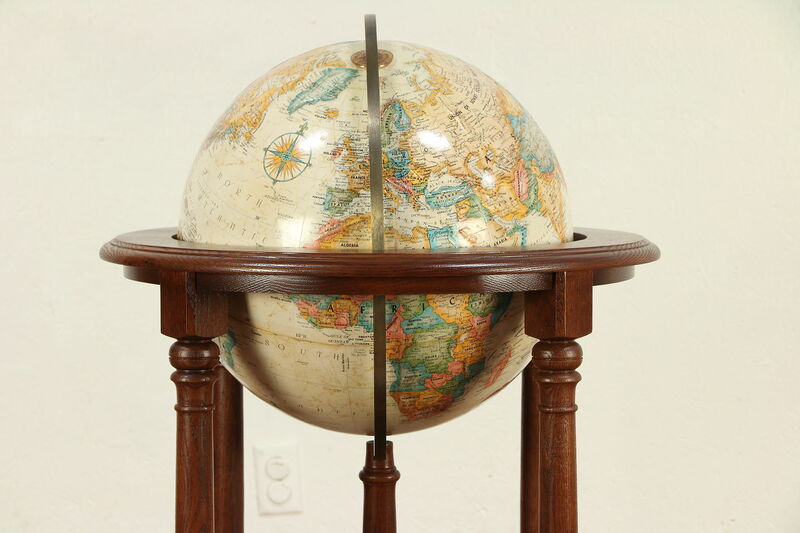 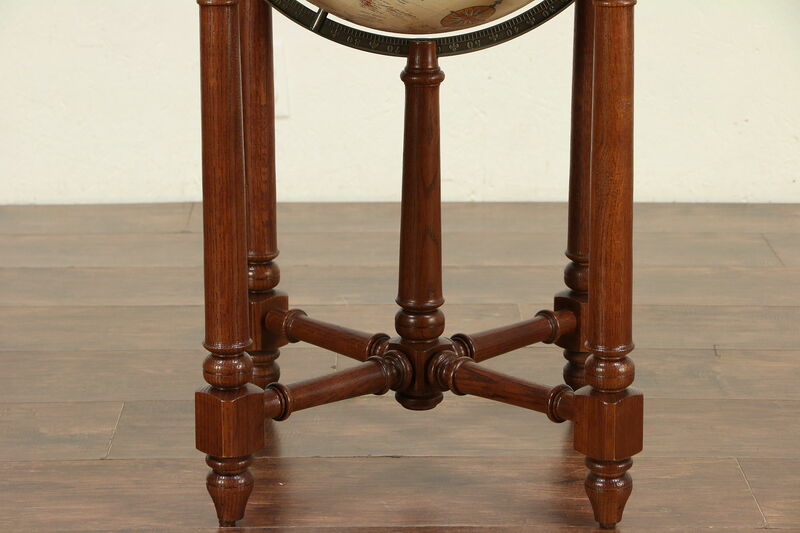 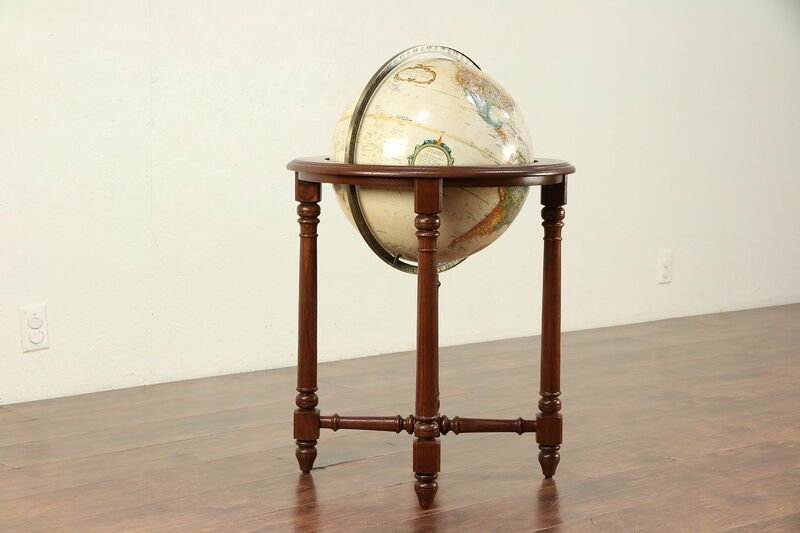 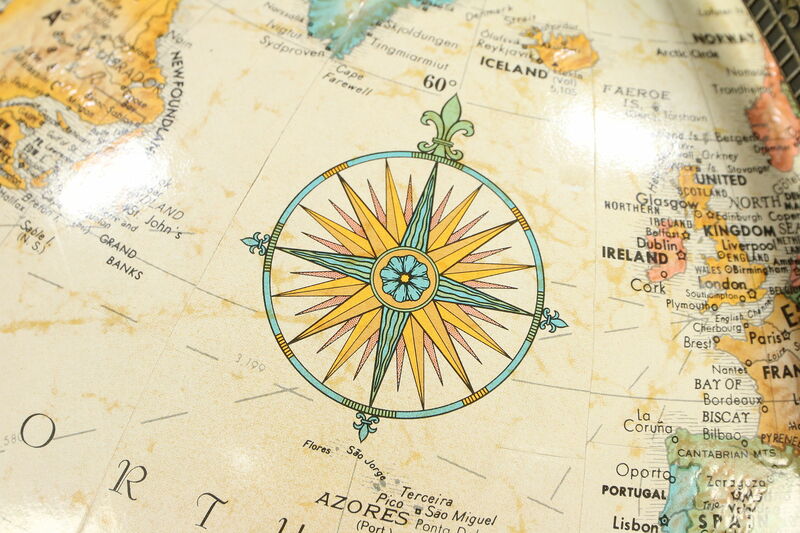 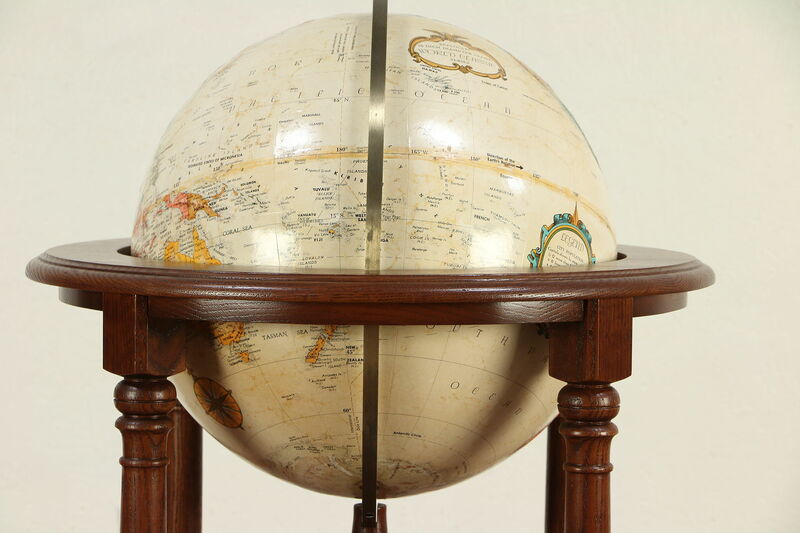 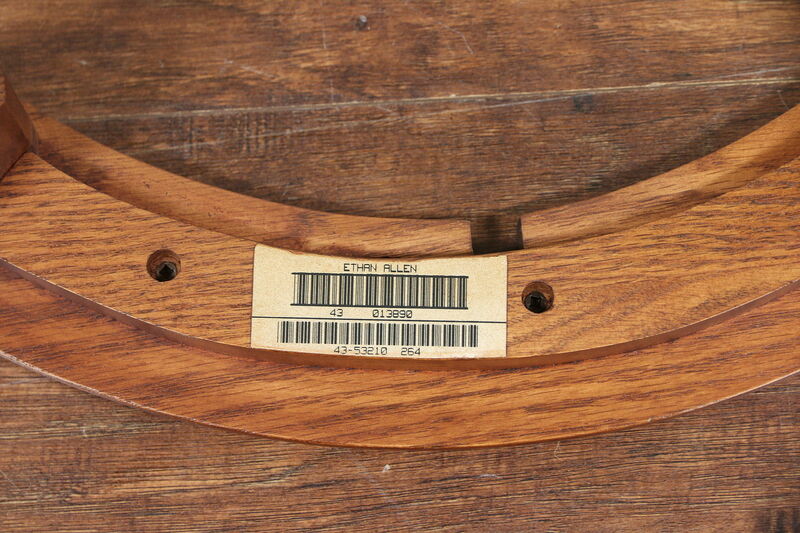 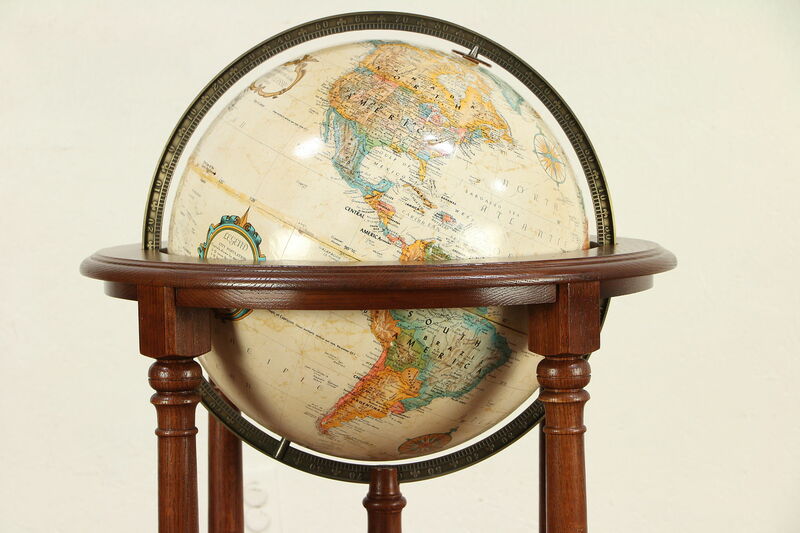 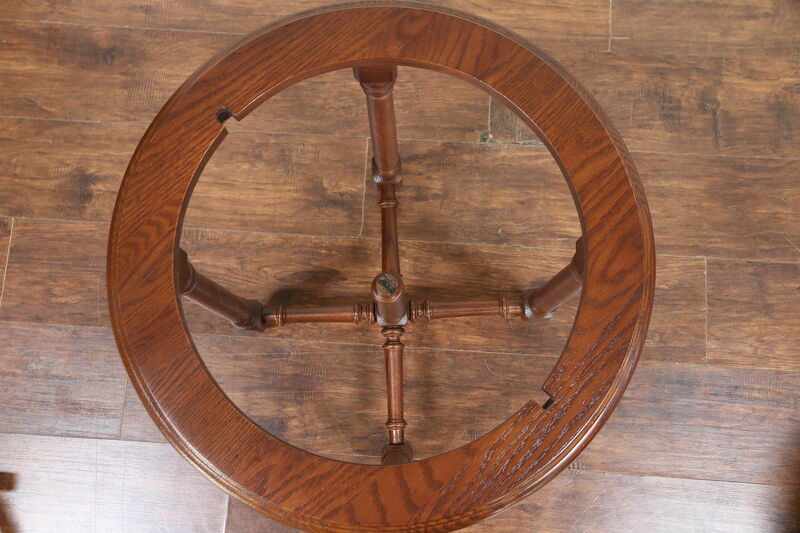 American made vintage furniture, the removable globe is 15" diameter, mounted in a swivel ring. 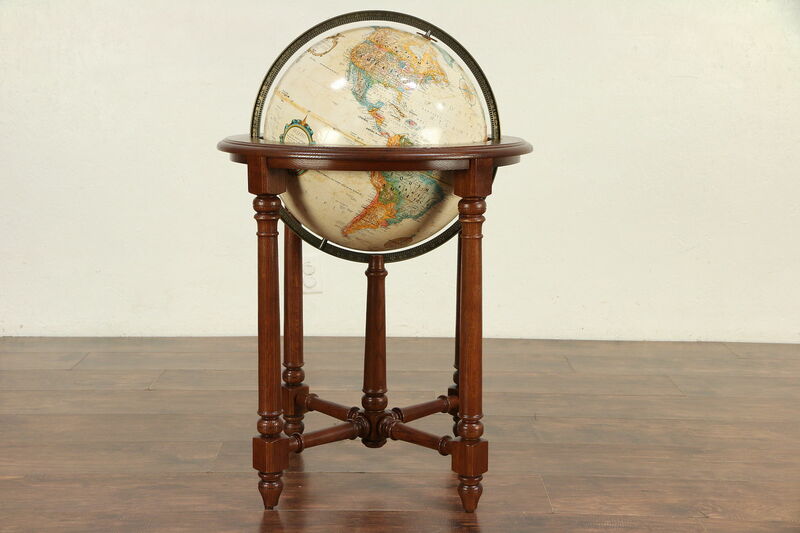 Overall measurements are 23" across and 35" tall.